Introducing the Wi-Fi Smart Control for Whole House Fans! The new Wi-Fi Smart Control by QuietCool is revolutionizing how homeowners interact with their whole house fans. Gone are the days of having to walk upstairs to turn your QuietCool on! 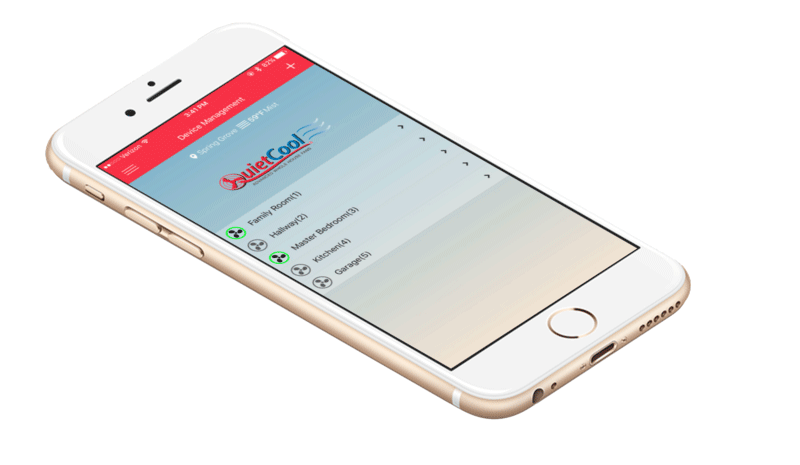 With the QuietCool Wi-Fi Smart Control, simply open the QuietCool app on your phone or tablet, open up a window, and turn on your QuietCool fan! You can control the speeds of your fan as well as the countdown timer, from 30 minutes to 8 hours! Purchase one Wi-Fi Smart Control hub per motorhead in your QuietCool system. 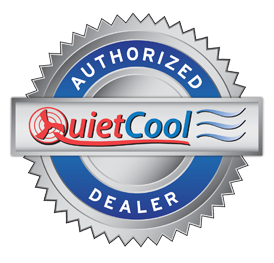 The QuietCool network inside of your home can control up to 15 fans! The QuietCool Wi-Fi Smart Control is backwards compatible with all QuietCool whole house fans. Phone or tablet sold separately. The QuietCool Wi-Fi Smart Control hub is very easy to install on any QuietCool fan. Simply install the hub over the existing handy-box or directly on the motorhead and match the speed wires and the power wires. With the convenient “Fan” button on the hub, you can even test the fan to make sure it is wired correctly before installing! Save 50% - 90% while cooling your home with our "green" products. Contact us for an estimate.